After all, your clients aren’t professional writers and they often don’t understand marketing. Ever tried to write a recommendation letter? It’s not easy. You’ve got a lot of good things to say about the person you’re recommending… but which one do you emphasize? So how can you nudge those testimonials in the right direction to grow your service business, without insulting your clients? As a copywriter, I edit testimonials for websites and sales letters. So I’ve had to coach a ton of people on writing testimonials that actually contribute to promotion…not just bland feel-good nonsense. If you’re a B2B they’ll usually say yes. They get visibility too. (I’ve gotten clients from testimonials I wrote for someone else’s website.) 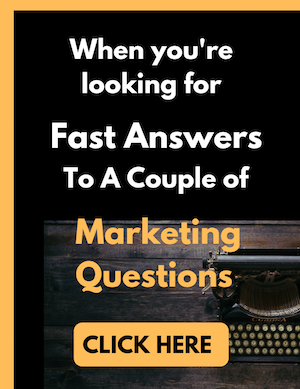 It’s no accident that the top marketers are very quick to offer testimonials for their friends and mentees: they know what they’re doing. 2 – Draft a testimonial based on what the client said. 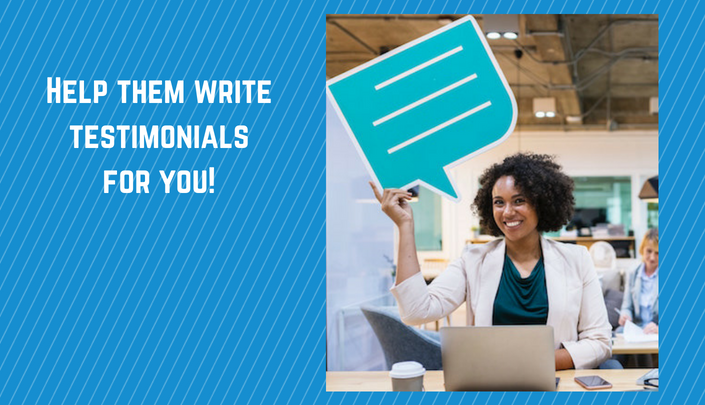 Send it to them with a friendly note: “Thanks for the kind words – do you mind if I use this as a testimonial?” And when you get a testimonial, go ahead and edit. I do this for clients and nobody’s ever objected when they see the new version. I’ve made it easy for you to help your clients write a testimonial that supports your claims. Testimonials that grow your service business typically have a 5-point structure. To make it easy for you to explain, I’ve created this infographic. When you’re ready to have The Talk about Testimonials, just send them this graphic. Now you can download a pdf version you can send as an attachment. They’ll enjoy reading the InfoGraphic and following the directions. Download your InfoGraphic here.